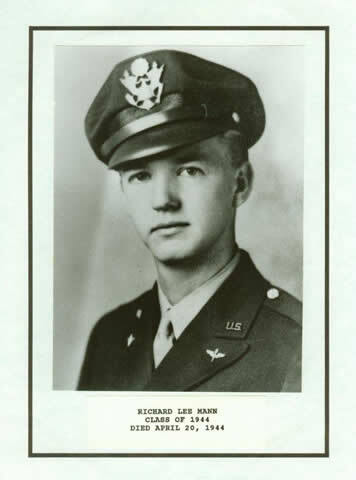 Lieutenant Richard L. Mann, has been killed in action over Europe. – Source: Washington Daily News, Washington, North Carolina, June 8, 1944. On April 20, 1944 the bomber B-17G 42-37890 took off from FRAMLINGHAM (AAF station 153) with a crew of ten airmen. and “Rovin’ Ramona II” painted on its fuselage. Its identification letters were BI-R. This plane and crew were part of a 174 bomber formation which, after flying over London, was heading to the French coast. They were apparently targeting the flak positions in the Cherbourg area, especially the V1 and V2 launching sites. flak just after dropping their bombs near Cherbourg. began to dive. Other crews in the formation reported that it exploded at that moment. but also around “la Mare de Brix” and “l’Ectot”. Ten men were on board. Only one of them survived. Sergeant Jesse W. Roberts. -Pilot 1st Lt. MANN Richard L.
-Co-pilot 2nd Lt. VAUGHAN John E.
-Nose Turret Gunner Pfc. KWOKA Valter J. -Radio Operator Cpl. ANDERSON Bernard A. -Top Turret Gunner T/Sgt ROBERTS Jesse W.
-Tail Gunner S/Sgt OVERSTREET Mark I. -Right Waist Gunner S/Sgt HERMANAU Walter E.
-Left Waist Gunner T/Sgt WEDEMEYER Robert T.
the land of France and Freedom. Let their memory not sink into oblivion. (route des Forges) and D119, Brix, Manche, France. Web page with photos. If you have information to contribute or to correct this or any other record, please contact us or see support. 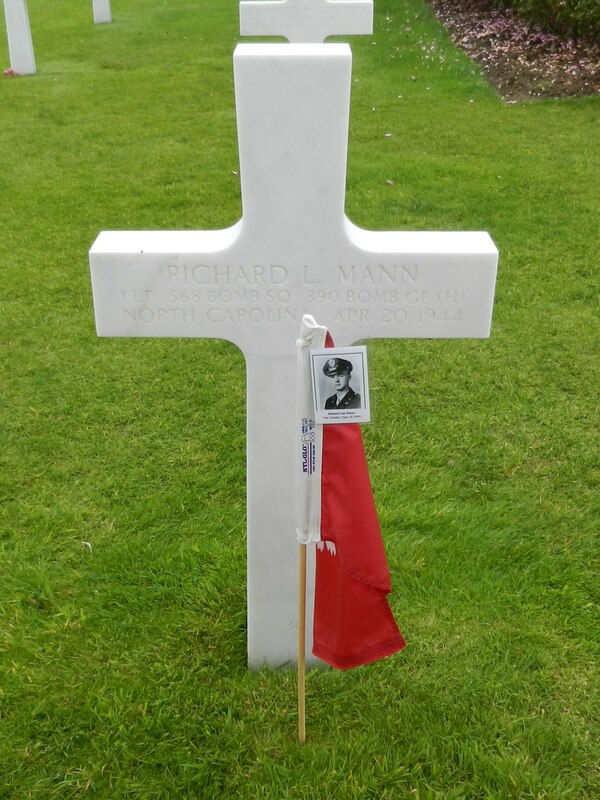 Richard Lee Mann is my uncle. Thank you so much for keeping his memory alive for future generations.